PegaWorld is a premium BPM conference, which brings together top industry leaders and BPM visionaries from a variety of industries, to discuss the future of BPM systems and the ways to achieve business transformation. Pegasystems’ annual three-day event provides opportunities to share the best practices, and discover the latest news from Pega and industry experts. The event also helps participants leverage Pega technology to the fullest to drive their digital enterprises. LTI is a proud Exhibitor Sponsor of PegaWorld 2017. At the summit, we will showcase our proven capabilities in the BPM and Pega space, along with a comprehensive set of solutions. Process Transformation with BPA 2.0 – Business Process Automation with various automation levers such as Robotic Process Automation, OCR, Machine Learning, Cognitive Automation, etc. End-to-End Pega Automated Unit Testing (AUT) Methodology – A comprehensive methodology for automating unit testing of the rules using OOTB pega testing feature. Business Process Digitization with Pega – An integrated platform for business functions by automating regular office activities and processes on the digital platform. Automated Incident Management with Pega – A single window for the business users to raise application incidents and capture incident specific information, which facilitates support team to have specific data, thereby helping faster issue resolution. Be ready for some engaging discussions with our LTI experts at Booth #23. 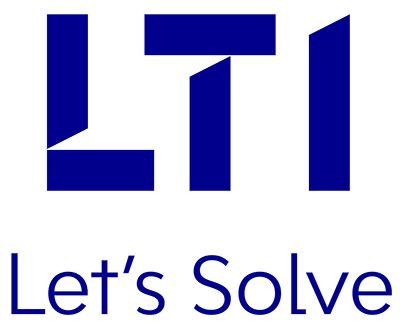 Connect with us to know more about how LTI can help you achieve your Business Transformation goals through our wide range of Pega solutions and services. Follow us on Twitter @LTI_Global to know more about the solutions we will showcase at PegaWorld 2017, and join in on some interesting conversations around some of our innovative offerings.